I received my first (and only, so far!) 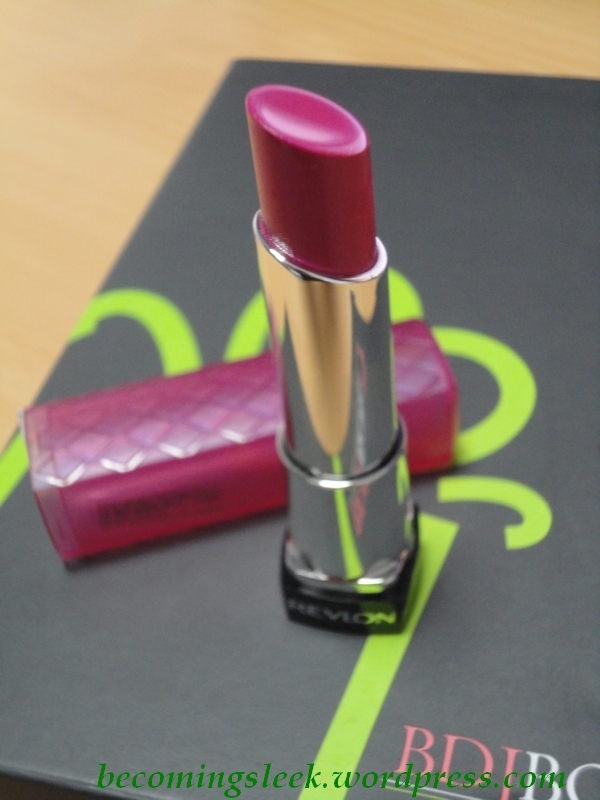 lip butter in the July BDJ Box, the Revlon Colorburst Lip Butter in the shade Lollipop. It took me quite some time to review and swatch it, and I am now finally able to share it with you. The bullet comes with a nice frosted pink cover with a cross hatch pattern, while the actual bullet is silver with a square base. The shade name is found at the bottom. The lipstick glides on smoothly and doesn’t tug. It moisturizes the lips pretty well even without the use of lip balm underneath. The lasting power of the color is just average at about three hours, but the moisturizing factor does stay on longer than that. When swatched on my lips it comes out a looking a little sheer in the photo, but it’s actually is a lot brighter looking in person. The top part is my bare lips, while the bottom has two layers of Lollipop. 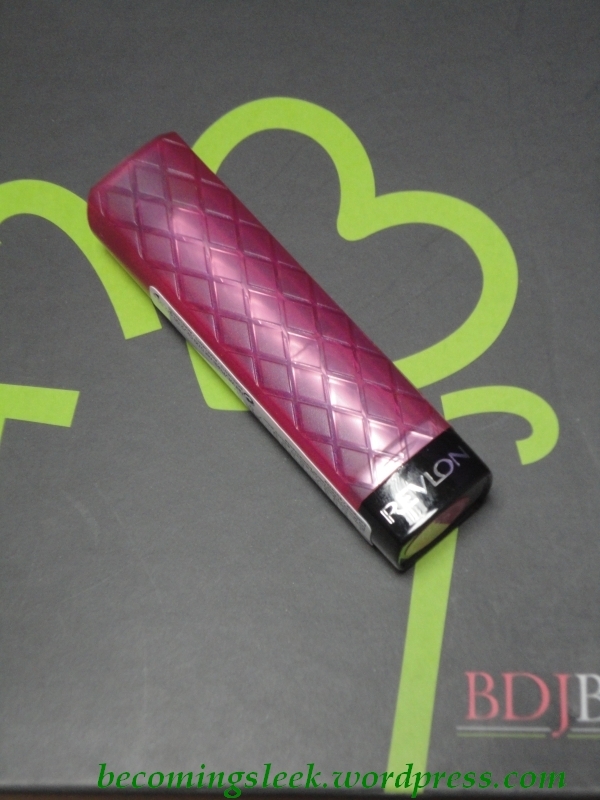 This lip butter costs Php525 and is available in many supermarkets and drugstores at Revlon counters. Revlon is not cruelty-free. 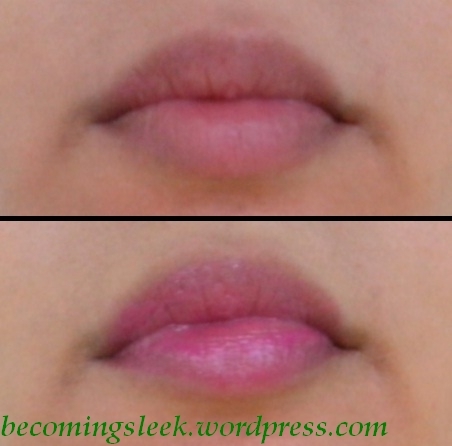 3 Responses to "Review: Revlon Colorburst Lip Butter in Lollipop"